You now see the product, as you know, it is very simple to produce and no more complex process, but Kingrui is the processing enterprises of non- standard customization, we can finish mold components according to the needs of each customer . Stainless steel, aluminum , Plastic, HSS and so on. CNC Milling, EDM, Grinding, etc. Polishing, PVD/CVD coating, Mirror Polishing, etc. CNC machining, CNC milling, WEDM, etc. Standard PE-film/ Plastic box/ Carton-box, customize package available, full consider of practical situation. 1.Your Inquiry related to our product and price Will Be Answered Within 12 Hours. 2.Well-trained & Experienced Staff to answer all your queries in English courses. 3.After-Sales Service Good, please come back, if you have a problem. 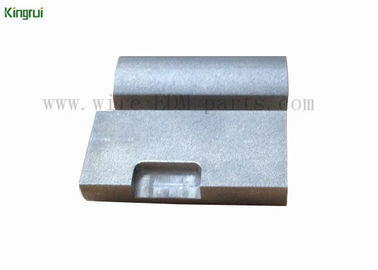 1,Our products offer Excellent Quality, Beautiful Appearance. 2,Safe Packaging, competitive price and Delivery On Time. Consumer electronics, automation machine,medical device and other industries.